We know your child’s birthday is a special day that is why we only book 1 party at time! Private party room with two bounce houses, ball pit, disco lighting, cotton candy, face painting, tattoos, music, games and more! Add on party activities available- dress-up, karate, hip-hop, cooking and more. Two party hostesses/motivators dedicated to making your child’s birthday party a day to remember! 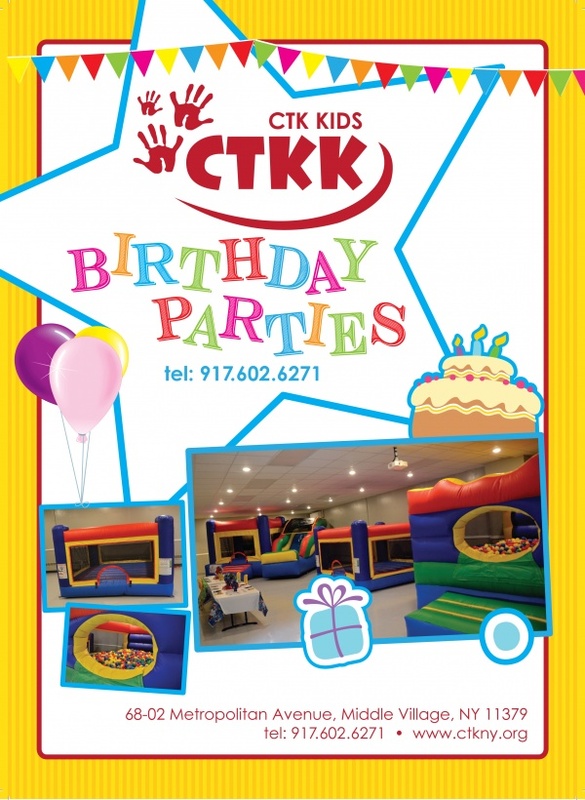 Our private party room has two bounce houses for your guests to enjoy! A bounce house with a slide and a bounce house ball pit. We also have a special bounce house designed for children ages 3 and under upon request. During the summer months, we offer an outdoor water slide to make your child’s party like no other! All of our equipment is sanitized daily. Two party hostesses are dedicated to make your child’s birthday party a day to remember! Face painting, tattoos and games are included in every party. We also have special 30 minute activities that can be added on to personalize your party. Does your child love to cook? Add on a cooking party! Each guest will enjoy making a treat to enjoy and 1 month of free cooking classes with CK Kids. Does your child love to dance? Hip-Hop and karate parties are available with 1 month free of CK Kids classes for you to add to your goodie bags! Craft parties and dress-up parties are some of the favorites! We know your child’s birthday is a special day-so we only book one party at time! Private party room available with two bounce houses, ball pit, disco lighting, cotton candy, face painting, tattoos, music, and games! Add-on party activities include dress-up, karate, hip-hop, and cooking.